Team building with glass fusing art class activity. Break it and Make it - fusing class is open to all. An ideal journey for the beginner and for those who have taken beginning glass fusing classes in the past and would like to refresher lesson. 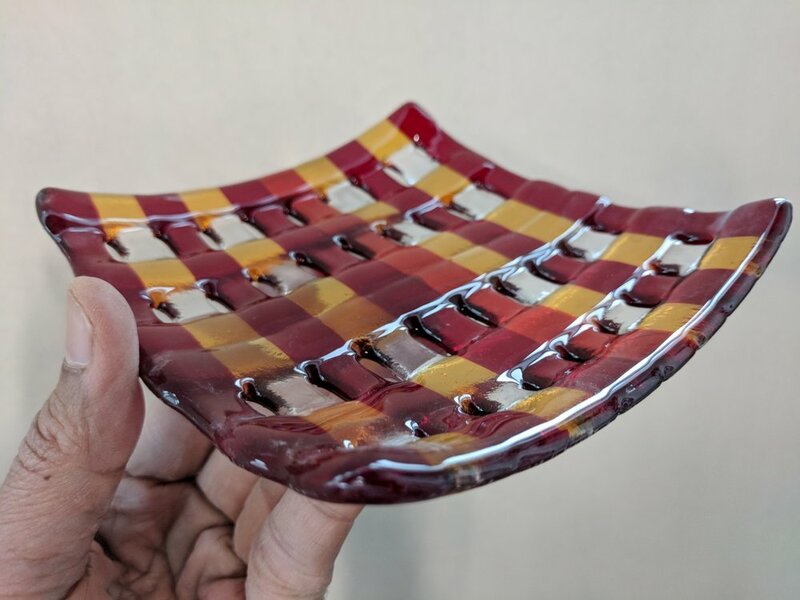 With step by step instructions, you will learn how to break glass and to make an six-inch beautiful contemporary fused glass grid pattern. In this session, you will get step by step instructions with enough glass supplies and tools to make a six square inch of fused glass basket in grid or any other patter that you would like to create. Instructor will teach how to cut a glass and a process of making a pattern. 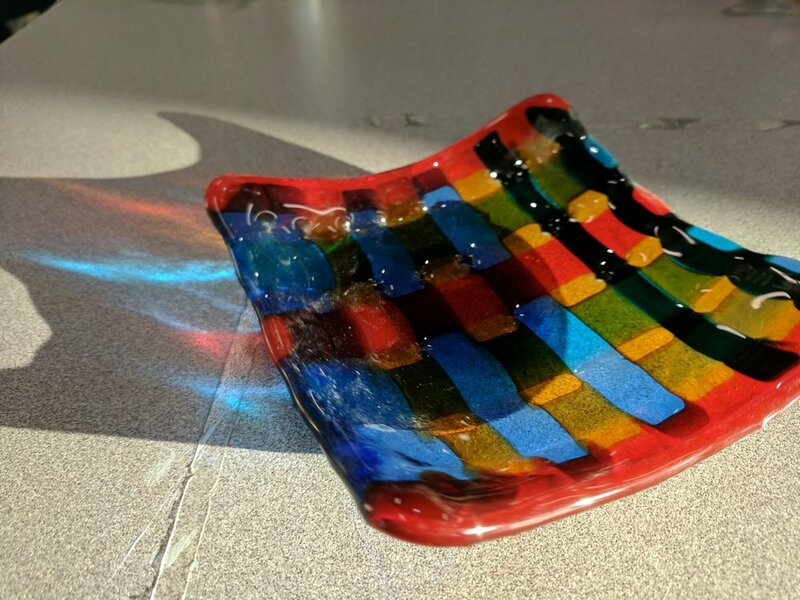 You will get an option to keep your creation flat or in a basket shape using fused glass techniques at no extra cost. Following are the few examples of the grid pattern basket that you will make in this session. How to buy or reserve a event? 6) Click "Book Now" and follow the on-screen instruction to your reservation.